Against Forgetting: A Concert for Remembrance for Victims of the Holocaust. What a program it was. 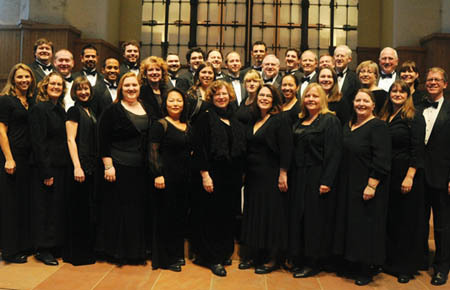 In case you are unfamiliar with Choral Arts, they are a Seattle-based ensemble of approximately thirty singers dedicated to its mission: To inspire, educate, and enrich its community through the transformational power of great choral music performed at the highest artistic level. Initially started by Dr. Richard Sparks (now Professor of Music at the University of North Texas) in 1993, the group is now conducted by Dr. Robert Bode, is the Raymond R. Neevel/Missouri Professor of Choral Music and Director of Choral Activities at the Conservatory of Music and Dance at the University of Missouri at Kansas City. That’s a mouthful. Through the years this group has been excellent, continues to be, and in some ways has grown into something more and exciting, especially with their recent CD Release, Mornings Like This, which is truly a special choral CD. Robert Bode showed his innovative nature in this particular program of Remembrance for Victims of the Holocaust, partly by programming virtually no music specifically about the Holocaust. In fact there ended up being only one, my Sing in Dark Times. Though this was the case, either through tangential means or very choice readings, one could not help but live in a space where swirled images, words, and memories of this terrible event. Primary readings were taken from Surviving Auschwitz by Primo Levi and read by one of the finest dramatic actors in the Seattle area, David Pichette. These spoke primarily to select moments of a Jew’s experience being sent to Auschwitz when things were at their worst. The concert began with Donal Grantham’s We Remember Them, composed in 2001 commemorating the victims of the 1966 clock-tower shootings at the University of Texas. It moved quickly to Have You Ever Heard Them Breathe a Word? by Giselle Wyers. The text for this new piece was actually the winner of Choral Art’s “Finding Your Voice” poetry contest for students in area schools. It was a meaningful setting of a delightful poem. The Choral Concerto in Memory of Alexander Yurlov, composed by Georgy Sviridov in 1973, followed and packed an emotional punch. Interspersed where readings from the Levi text. 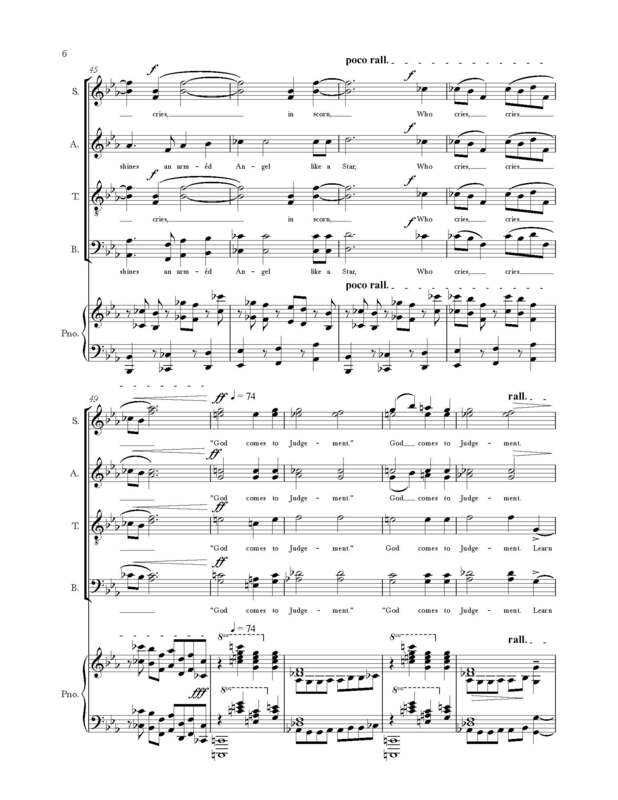 This Sviridov work is a set of three pieces for Wordless Chorus (Lament, The Parting, Chorale) and through use of extreme dynamics and ranges brings the listener really ‘to the brink.’ I can’t say enough about how well the synthesis between these pieces and the readings worked. Powerful. Two movements from Howell’s Requiem (3 and 5) were wrapped around the Intermission, which created a continuity through the break. Again, another selection that keeps one in that special place of remembrance and highly effective. Sing in Dark Times by me, was the bulk of the second half, with three movements (balancing the Sviridov in a way I think). This piece (the first of many to come in the Richard Sparks Commissioning Project) was, as mentioned, the only piece about the Holocaust. The first movement The Hateful Crime is a very dramatic work with text taken from the poem The Death of Peace by Nobel Prize winning doctor Sir Ronald Ross. Rather than being specific to the Holocaust, this text was meant as a ‘set-up’ for the second piece. It talks about evil in a broad and metaphysical fashion, though exposing it as something quite specific (paradoxical….sort of). Pigtail, (to a poem by the same name by Tadeusz Rozewicz) the middle movement, was really the meat of the piece and I think it was quite successful in transporting the audience to a particular vision. It centers on a pile of hair taken from women who were taken into the gas chambers for execution. This horror is only multiplied by the sight of a single pigtail with a ribbon in the midst of clouds of hair. The music gives the feeling that this moment is “frozen in time” as a photograph, with a repetitive piano underlying an emotive soprano soloist. The choir can only comment on this barbarity with a single shocking word, “No.” Over and over again, “No!” One can only ask the question “What now?” after a vision like this. We cannot turn back time. We cannot undo. A quote by Bertolt Brecht tries to answer this question saying: “In the dark times, will there also be singing? Yes, there will also be singing. About the dark times.” This third movement, Yes, focuses just on that, the word “Yes,” in contrast to the horrible “No” of the second movement. Closing the program was a moving When All Is Done, originally composed by Northwest composer John Muehleisen in 2008 for the University of Wyoming, commemorating the 10th anniversary of the murder of Matthew Shepard (the victim of a notorious hate crime). With text by Paul Lawrence Dunbar, it speaks to hope. Hope we need when things are dark, or wrong. Choral Arts is quickly approaching their 20th Anniversary season, and in my opinion are putting together some amazing performances, concerts and recordings. This is an ensemble that sounds so, so, so very good. And it is a great blessing to be in any way involved with them.